Autoimmune disease, chronic illness and disease are words that we hear all too often in today’s world. There is media coverage all around us about celebrities and professional athletes speaking out about their disease diagnosis stories, stories on our local news stations of people fighting for their lives because of intense illnesses and conversations with our friends about life with someone who is chronically ill. The mass spike in chronic illness diagnoses has hit us all levels: global, national, local and immediate. We all seem to know someone who has been touched by this trend. I am definitely no exception. While I know plenty of people who live with chronic illnesses, it is also an all too familiar part of my life because I also live with illness. I received my devastating, life changing disease diagnosis on January 12, 2012 and it came in the form of Crohn’s Disease. Hearing those words shattered my world. I was angry for the longest time, until a serendipitous chain of events dropped me right into the world of health, wellness and complementary medicine. At first, I shrugged off the information that I was supposed to be absorbing. As time went on, it snuck into my brain and I decided to use myself as an “experiment” to see if this whole new world that I was immersed in could help someone like me. Thankfully it has, but not in the way that I was expecting. Along my short journey as a patient, I have developed a unique perspective on living with illness. Thanks in part to my undergraduate and continuing education studies in health, wellness and holistic health, and my unwavering determination to manage my disease on my own terms, I have learned how to help myself thrive and live well with Crohn’s Disease. My secret is this: utilizing a mind, body, soul approach to your health. In my personal opinion, your mindset and perspective on your disease lay the foundation for how your life will play out. In the early stages of my diagnosis, the anger that I felt consumed me. Coincidentally, my life during that time period had an angry undertone as well. When I shifted my mindset, loved myself (and my disease) more and empowered myself to make lifestyle changes, my health and life changed dramatically for the better. Try looking on the bright side of things, make some lifestyle changes that could help you feel your best, love yourself in the process and see how it helps your energy and the way that your life unfolds. The food that you eat directly impacts your health. However, when living with chronic illness, it is really tough to decipher all of the information out there that tells us about the “perfect” eating style for our illness. In my experience, there isn’t one. The trial and error method of trying different eating styles and seeing if they help decrease symptoms is the tried and true way to navigate through the insane amounts of nutritional advice in the health and wellness world. Find an eating style that gives you energy, decreases your symptoms and makes you happy. Then, and only then, will you want to make the new eating style a permanent part of your life. Movement is also a crucial part of thriving with illness. However, this aspect of health and wellness can be hard for a lot of chronically ill patients, due to pain and fatigue. The key point to remember is that the form of movement that you do can change from day to day. Choose a form of exercise that makes you feel good, but also that your body can handle. Moving our bodies is one of the best things that we can do to boost self confidence, release stress and produce endorphins, but you don’t have to do a specific type of exercise to gain the benefits. Choose what works for you, so you will enjoy it and be consistent with it in the long run. Besides the mindset work, the soul work is the most important part of thriving with illness. It is super easy to use our diagnosis as labels for who we are as people: “chronically ill’, “sick” etc. However, knowing who we are and what we enjoy, outside of our chronic illness diagnosis, is so important. Even though illness is a huge part of our lives, having hobbies, passions and identifiers outside of that label helps us remember who we are at our core, what value we bring to the world and what makes us light up with joy and happiness. Take some time to find yourself again: figure out what your strengths are, what makes you happy and what you love to do. Once you know what those things are, make it a priority to include as many of them into your days as you can. Living with an illness can be tough at times, but having things close that remind us of our healthier, happier, more purposeful selves that we can use when times get hard is key to living well. This mind, body and soul approach to managing Crohn’s Disease has changed my life. Utilizing traditional medicine (such as medications), while also integrating complementary medicine (like whole foods nutrition, supplementation, mindfulness and doing more of what I love) into my treatment has helped me gain a new lease on life. If you are looking for a holistic way to feel better, consult with your physician and work on integrating this approach into your life. Get to know yourself (mind, body and soul), make some positive changes and see how that affects how you feel, eat, think, move and live. It may just be the change you need to THRIVE. I am a Holistic Health Coach that empowers patients who live with autoimmune disease and chronic illness to thrive and live well by implementing whole foods nutrition, holistic health modalities and complementary medicine therapies into their treatment protocols. We work together to increase their self love, shift their mindset, find the eating style that works best for them and infuse their passions into their daily lives. 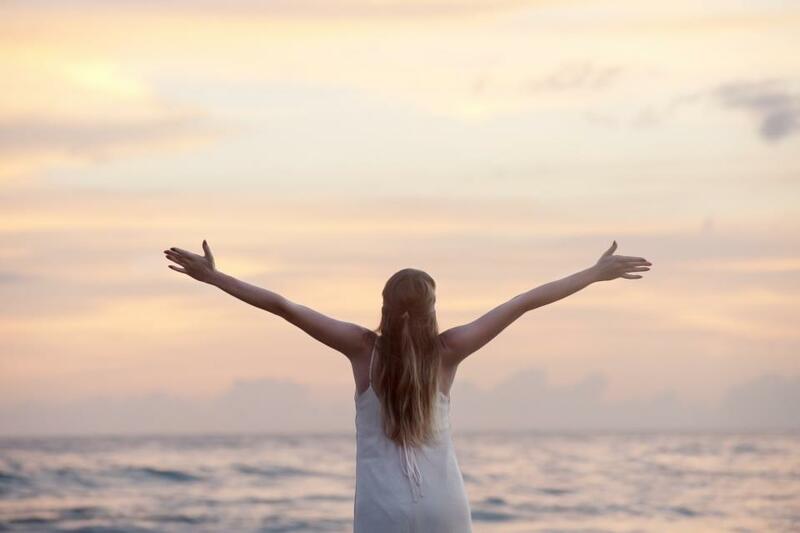 By acknowledging the complexities of each client, rather than identifying them as patient with a disease and manageable symptoms, our work together helps them step into their true selves, find healing and optimize their health and well being in a holistic way.